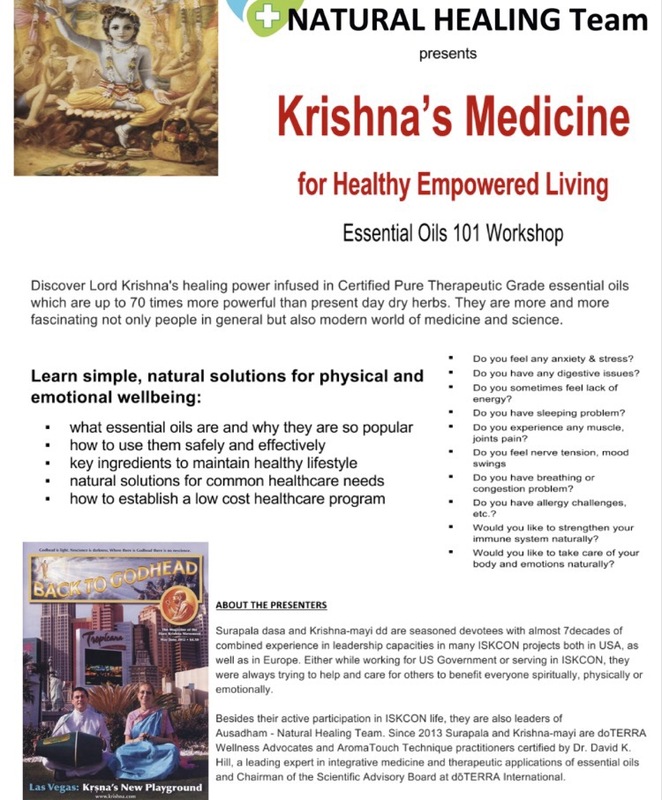 We are happy to inform you that this Saturday, October 21st, we will have a special presentation on “Lord Krishna’s Natural Medicines” by Surapala Prabhu and Krishna-mayi Mataji. Venue – Krishna House – 807 3/4 West Clay Street, Richmond. Prasadam will be served. Please come with your family and friends. Please see below to know more about the presenters and the presentation.